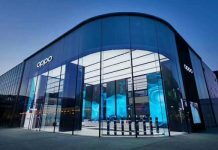 Intelligent Glass, one of the UK’s leading manufacturer of Switchable Smart Glass solutions, is trusted by some of the world’s most important brands and services. As a leading manufacturer of Switchable Smart Glass solutions in the UK, Intelligent Glass is trusted by some of the world’s most important brands and services, adding responsibility to its commitment to quality, customer care and product development. The applications of this incredible technology in healthcare fit-out applications aren’t just impressive, they’re important, offering a far more superior solution to privacy requirements than current solutions can. The NHS is a recent adopter of Smart Glass, using it to future-proof their state-of-the-art facilities with cutting edge and practical privacy that not only offers a great solution to their needs but also offers much more. Helping to revolutionise the way patients are treated, Switchable Smart Glass affects the way a health care facility impresses on patients and their loved ones, helping them feel cared for and safe in the knowledge their privacy is a top priority. 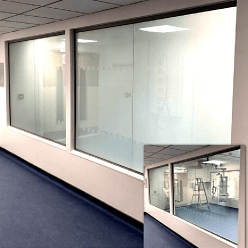 Intelligent Glass has recently supplied Switchable technology for a project at an NHS Hospital in Paisley, who had 42 panels of 12mm Laminate Switchable Glass installed into five of their critical patient areas on their ICU ward. Speed was a highly important aspect for this project, encouraging contractors Indeglas (working with Kier) to turn to Intelligent Glass. The technology was used to great effect, allowing healthcare professionals to offer cutting-edge and practical privacy to patients whilst still being able to monitor them visually without having to disturb them. With this installation, staff can change the privacy glass that shrouds the room instantly from a designated nurse’s control station. This offers a unique privacy solution that is highly practical, allowing critical patients and their family to enjoy the benefit of privacy whilst giving those responsible for their care a fast option to be able to monitor them should they need to. In the event of a critical emergency, the glass can be switched from frosted to clear in an instant, allowing complete visibility into the area so they can begin to respond appropriately without even having to go into the area itself. Likewise, should staff require to simply check on the status of a patient occupying an area covered by the glass, they can do so without even leaving their current post, allowing them to potentially multi-task in cases where the patient is stable but still requires monitoring, helping to save on time and efficiency on a strained workforce. In comparison to alternative privacy solutions such as curtains or blinds, which can either be cumbersome or impractical in critical situations, Laminate Switchable Smart glass offers a stylish, classy and safe solution that is easy to clean and maintain and can be integrated into most rooms with a space for interior windows, reducing clutter and additional installation needs in the room itself, as you would need with curtain rails or tracks. Intelligent Glass also point out the hygiene benefits of using Switchable technology compared to curtains, making it both potentially effective and preventative. Switchable technology offers superior healthcare fit out and construction privacy solutions that can change the way these environments operate, helping save time, money and potentially even lives. 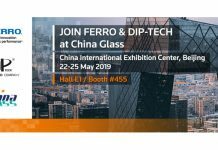 The range of technology offered by Intelligent Glass offers a solution to so many potential health care requirements, from Fire Rated Switchable Smart Safety Glass, which offers additional protection to those vulnerable patients and expensive equipment, to Sound Insulating Switchable Smart Glass, which may be suitable for applications where individuals may be in deep pain, such as maternity or trauma wards, for example. Jamie Conroy, Sales Director at Intelligent Glass commented that this project ranks as one amongst many of a long line of health care solutions the company have provided not just to the NHS, but private groups and dental practices as well. What makes this one so special however is the way this hospital makes use of the wide range of benefits Switchable Smart technology can offer, both from a privacy control standpoint to the hygiene factor, which is highly important in a critical care environment.